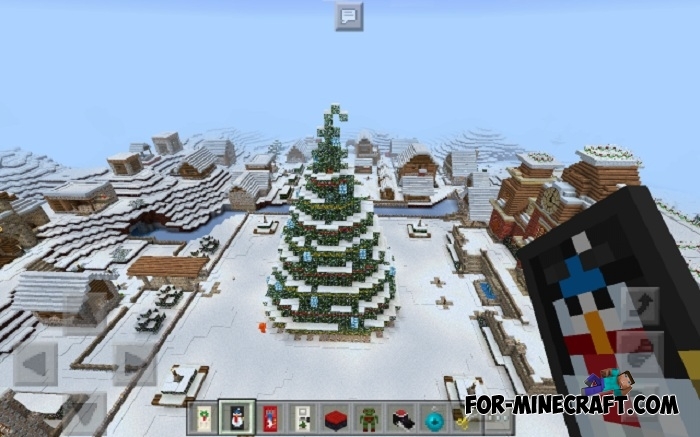 You can make a real winter in Minecraft PE 1.0 if you open Christmas Village map. 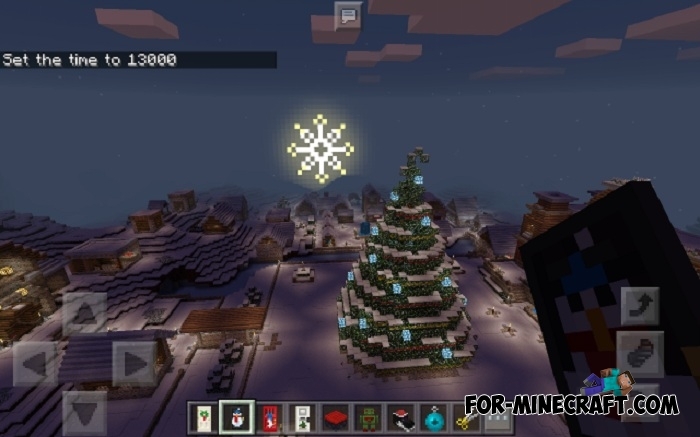 Here you will find yourself in a small village in the center of which is a large Christmas tree. Small houses surround it and decorated mansion is situated on a hill, you will always see the Christmas tree from its windows. You will see a very pretty picture when go outside at night. 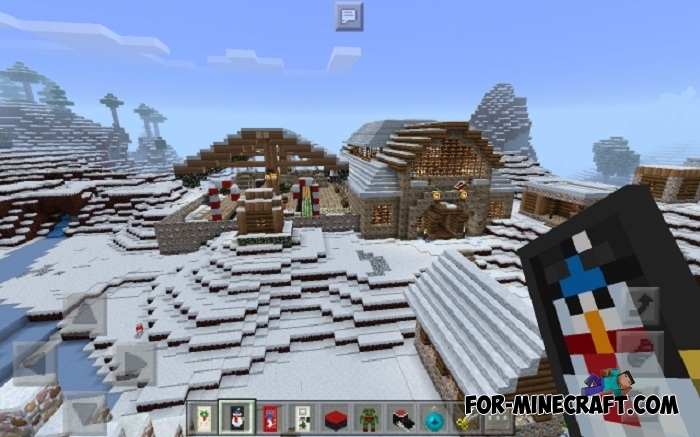 The Mansion for Minecraft PE 0.17.0You will find yourself next to a beautiful mansion that can be used for almost anything.. 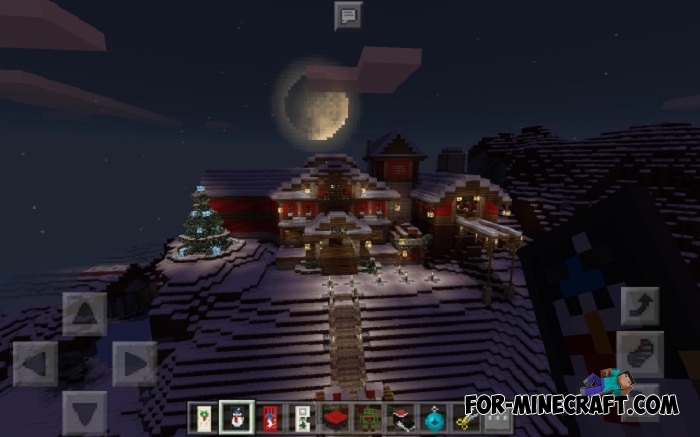 Rugged jungle mansion for Minecraft PE 0.15.7/0.16.0Rugged jungle mansion is a very cool building for Minecraft PE, which has a large size and many functional mechanisms..